The Australian Banana Growers’ Council (ABGC) says the successful eradication of banana freckle in the Northern Territory is a clear signal to markets not just locally, but around the world that the Northern Territory, and Australia as a whole, is free of the disease. Banana freckle was detected in Cavendish bananas in NT in 2013. Today there was a formal declaration that Banana Freckle (Phyllosticta cavendishii) has been officially eradicated from Australia following the successful completion of the National Banana Freckle Eradication Program Response. The Freckle Response has been the largest Emergency Plant Pest Response under the Plant Health Deed ever undertaken in Australia. 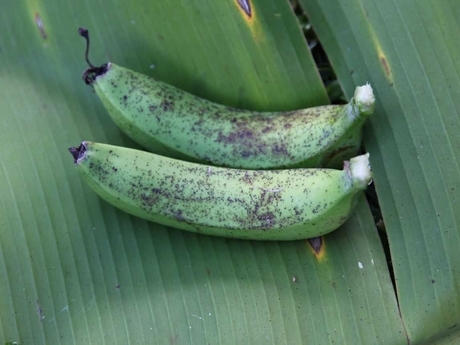 Mr Lowe added that the impact of banana freckle spreading further afield could have greatly impacted the industry, particularly if it reached the major growing area in Far North Queensland. Although the Northern Territory growers have been supplying their local markets again for at least 12 months, there have also been restrictions on exporting plant material from the Territory, which will now be revisited. Mr Lowe says this official declaration is just one example of how industry and government can come together to maintain that famed ‘clean, green’ image for future generations.